Hey there and a happy Monday to you! 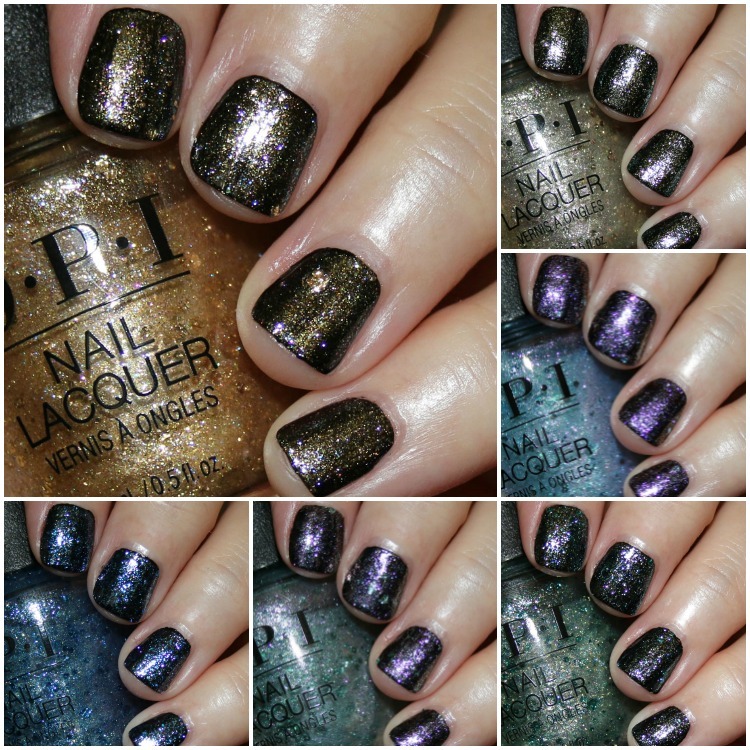 Today I have the OPI Metamorphosis Collection for you! 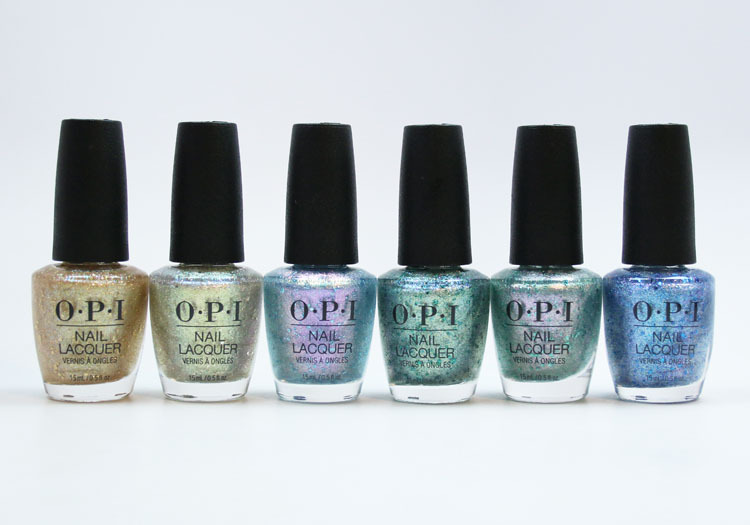 The OPI Metamorphosis Collection is limited edition and features six new iridescent, shade shifting, glittery top coats. You can use them alone if you want or layer them over any other regular nail shade. 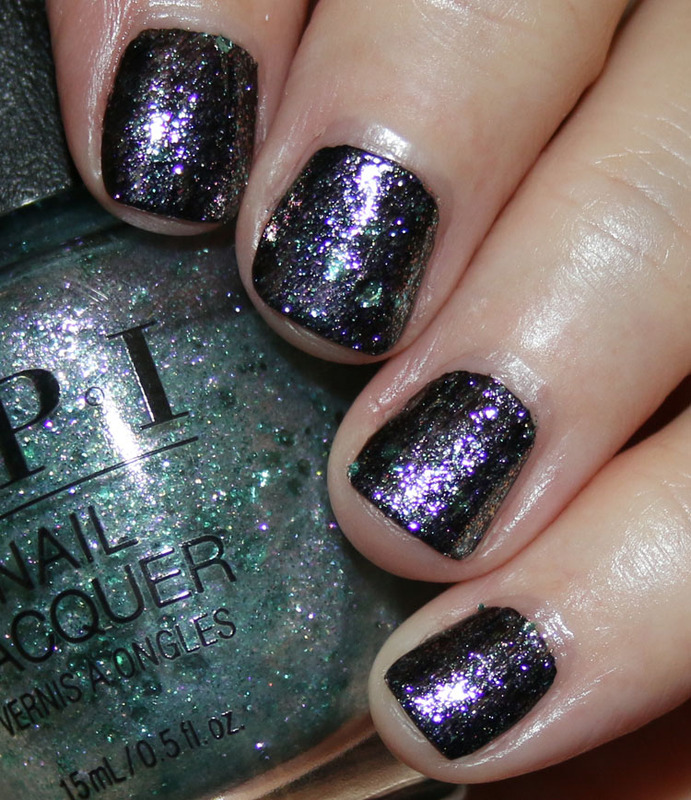 If you apply a shiny top coat over them you get a super sparkly iridescent finish. If you add a matte top coat you get a matte foil iridescent finish. All my swatches below are over my favorite black creme, which is Cirque Colors Memento Mori. 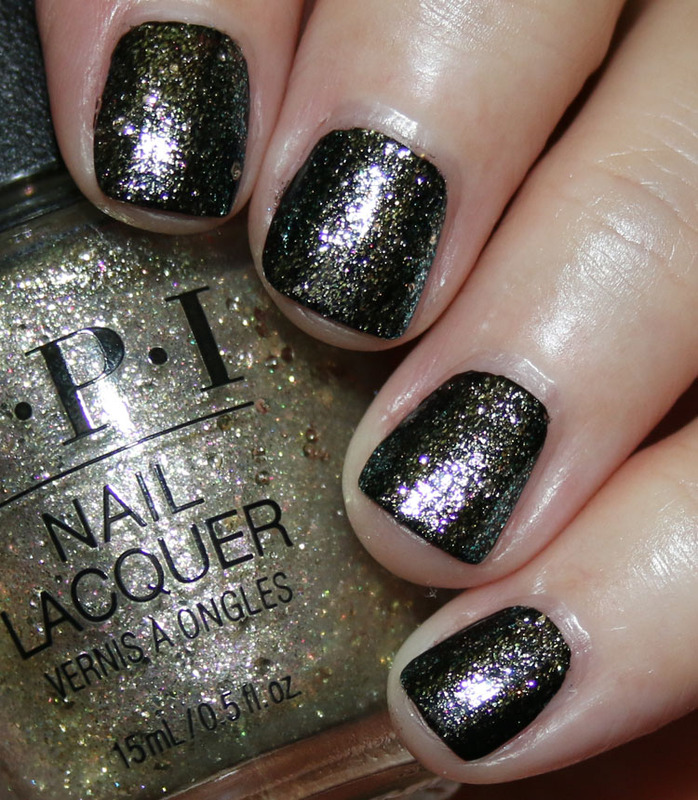 They are just one coat of black polish and one coat of the OPI, with no shiny or matte top coat. This Changes Everything is a warm-toned gold shimmer. Metamorphically Speaking is a cool-toned light gold shimmer. Butterfly Me to the Moon is a pink and blue shimmer. Can’t Be Camouflaged! is a yellow, blue and green shimmer. Ecstatic Prismatic is a pink and green shimmer. 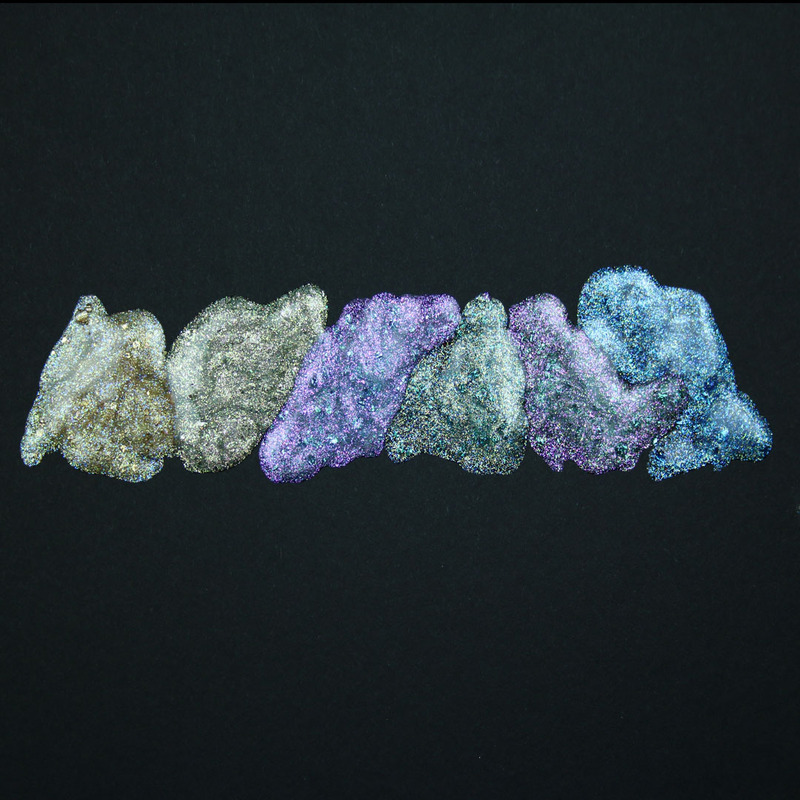 You Little Shade Shifter is a blue and purple shimmer. And there they are! 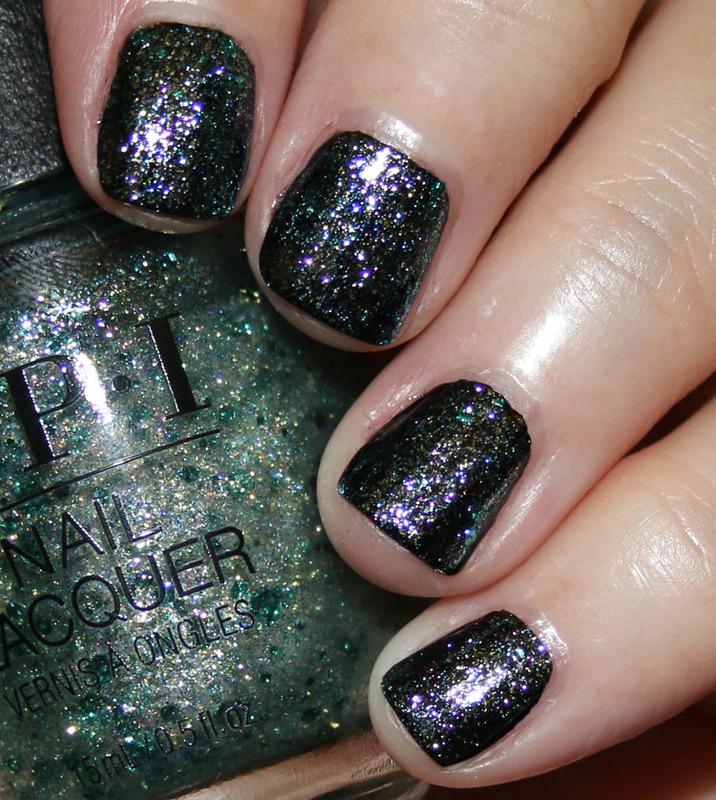 They look great over black, but they also totally change depending on what other colors you layer them over. There are tons of color possibilities! I like that they not only have the iridescent glitter, but larger flecks of glitter too. You don’t have to fish anything out of the bottle, it all comes out easily with the brush and applies evenly on the nails. 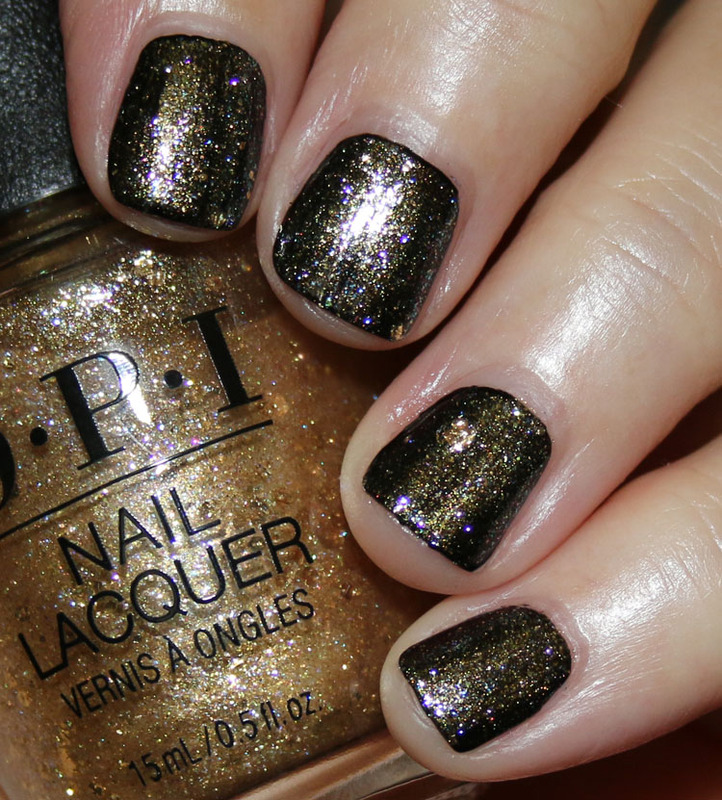 You can find the limited edition OPI Metamorphosis Collection at Balanced Beauty Supply now. 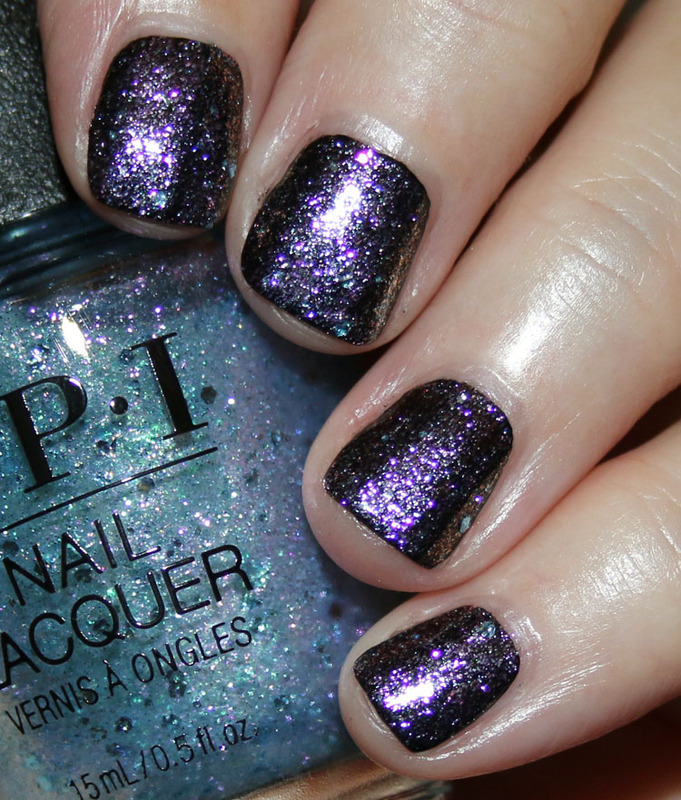 Find out more about it on the OPI site. See anything interesting here for you? Win Illamasqua Bronzer in Burnish! Oh, I actually like all of these. I’m in the midst of cleaning out my collection but I’m feeling the need to grab these. 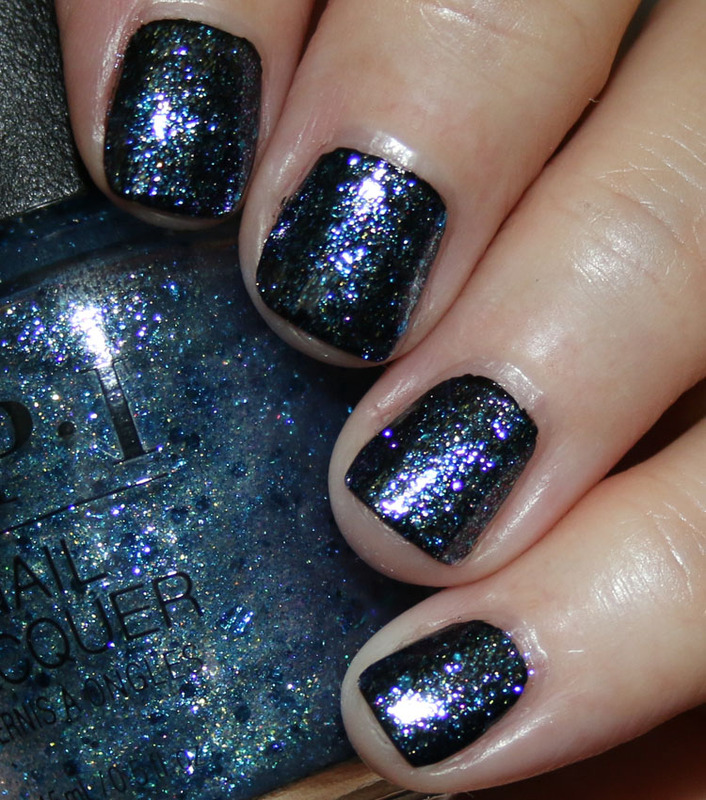 I love polishes like this! These look beautiful! I’ll definitely be checking these as soon as I can find them in person. Butterfly Me to the Moon looks absolutely gorgeous. Perfect for a night out! Because of your gorgeous swatches, I just bought Butterfly me to the Moon and Ecstatic Prismatic. They look really soft and feminine over whites and dramatic over black. I got them to opacity in 2 coats. Now I need to get You little Shade Shifter! I found them at Ulta.